Home » Inspiration » My Makeover with Rivka Malka! My Makeover with Rivka Malka! One of the highlights of my trip to Baltimore this summer was meeting up with speaker and transformational life coach Rivka Malka Perlman. I loooved spending time with Rivka Malka. The thing about her that most inspired me was that her life is NOT perfect. And then I got to her home. I guess I thought it would appear as flawless as Rivka Malka in this photo–like Better Homes and Gardens, Jewish-style. And I discovered, instead, a front door with flaking paint, and then wet tents and sleeping bags drying out all over the living room, and, in general, a very real home which is no longer new and that looks like it is fully occupied by 8 growing children. 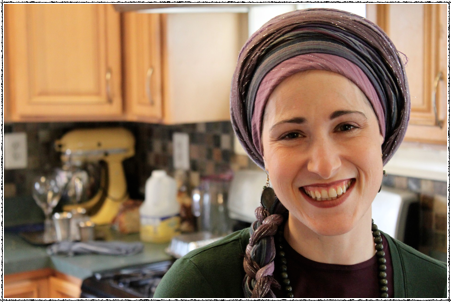 And in the middle of this less-than-perfect physical environment, Rivka Malka is like a sun of positive energy, spreading life-giving loving vibes to her family and community members and me through her smile and her generosity of spirit and her uplifting handwritten quotes that adorn so many corners of her home. It just struck me that her life, like all of our lives, has it’s challenges, and she works very hard, like I and so many of us do, to stay inspired. And her realness and the real challenges she struggles with made me feel that, for me, one of the most inspirational JewishMOMs in the world is now even more of an inspiration. Thanks so much, Rivka Malka! It felt exciting to feel so pretty… And you showed me how easy it is to do…Which made me think that this year I want to invest just a teensy weensy bit more in being pretty, like you. Looking like true royalty; not just being a daughter of the King, but looking like one too. 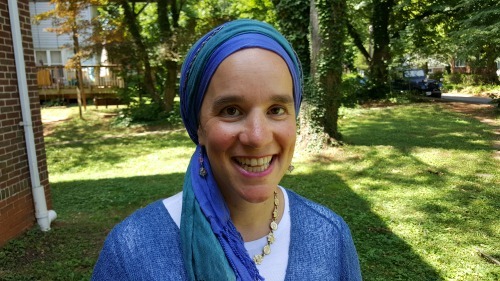 Learn more about Rivka Malka’s Redemption Treat next month. WISH I could join her there, sounds so amazing. Dear Debra: I Made Aliya, and I'm Miserable! Chana Jenny! It was wonderful spending time with you! You radiate natural kindness and comfort. When I first read your post about our visit I didn’t get it. This though flashed through my head was “Oh man, it sounds like I’m struggling in a dump!” Then I reread it and I saw that you conveyed exactly what I always want to give over – the message of being human. Of giving everyone permission to step away from the barriers that divide us, of the hiding we do about our struggles, of the ways in which we think we’re supposed to be and just being who Hashem made us – a perfectly imperfect human being. This is the life He gave us and our work is precious to Him. He wants us to connect for real. I’m so glad that we did. Your work here is amazing. It’s a source of comfort and community. I’m so honored to be a part of it. PS You look SO beautiful! PPS I forgot to mention in my last comment that after re reading it – I loved it! Two of my favourite Jewish Moms! I am fangirling! Jenny, you always look wonderful, but I want to say that I love this style on you. Enjoy! That was inspiring, thank you. The new look really suits you Chana Jenny! You look beautiful. I love the height of the tichel how it complements your face. You look lovely Chana Jenny! Your style is a kind of smart casual with a touch of subtle elegance. Very inspiring story. Thank you. I love rivka malka’s message that we should all shine from within. as Daughters of Hashem, we have the sparkle inside. in a world that emphasizes Chitzoniut (external coverings) it is hard to learn how to emphasize Pnimiut (internal essence). 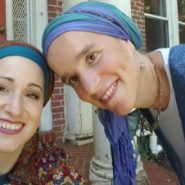 Yasher Koach, rivka malka, for being able to teach us how to let our golden inner essence shine forth, without becoming overwhelmed by Gashmiut (materialism). “The royal daughter is all glorious within the palace” (Psalm 45). Rivka Malka is gorgeous. Chana Jenny, your makeover, I am sure was fun! The royal color makes you look radiant! Hearing that Rivka is just like us . . . not perfectly perfect in every facet of her life – is encouraging. There is hope for us yet! “Charm is deceitful and beauty is passing, but a woman who fears HaShem, she shall be praised.” The most important thing for a royal daughter, is to honor the King!